With the ever-increasing importance of computers in our daily lives, it's no wonder that we're trying to get our kids into computing early. With the right gadgets and games, children as young as three can start picking up coding with toys that simplify basic programming concepts. Toys like these can help kids get ahead by teaching them basic coding concepts so they can dive right into the real thing when they get older. 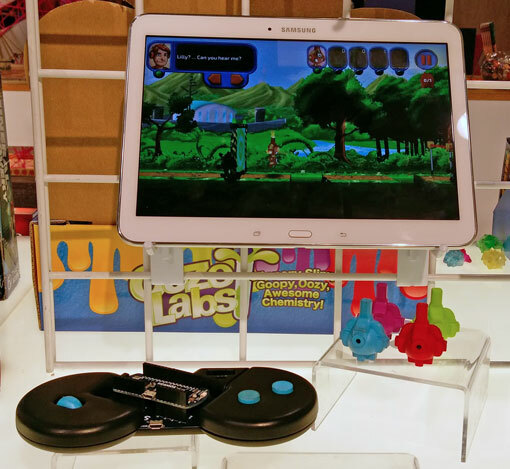 At this year's Toy Fair, teaching coding was a definite trend with toys that offer high-tech learning opportunities. For kids as young as three, the brightly colored Code-A-Pillar teaches critical thinking, problem-solving, and sequencing skills by means of a caterpillar-like toy. 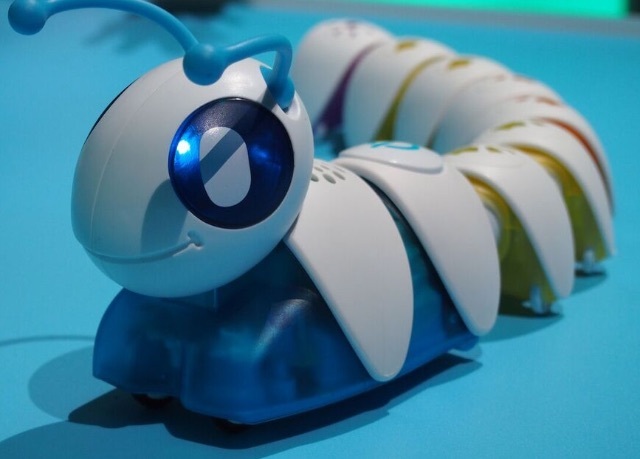 The Code-A-Pillar comes with seven segments which a child can attach to the motorized head in any order. Each segment has a specific function, such as turning right or left, which are clearly labeled with simple symbols in bright colors. The order in which the segments are connected is the order in which the Code-A-Pillar will perform its actions (with each segment lighting up as it moves from one action to the next). The initial Code-A-Pillar can only turn right, turn left, go straight and play music, but expansion packs with more segments will add to its actions, allowing kids to make the Code-A-Pillar perform more complicated moves. Though this may seem basic, it can help pre-school aged children understand the kind of sequencing involved in computer programming—and that's a solid first step towards understanding actual code. You don't need to stare at a computer monitor or even have high-tech toys to learn coding skills: Code Master by ThinkFun (shown left) is a board game that walks you through programming concepts. 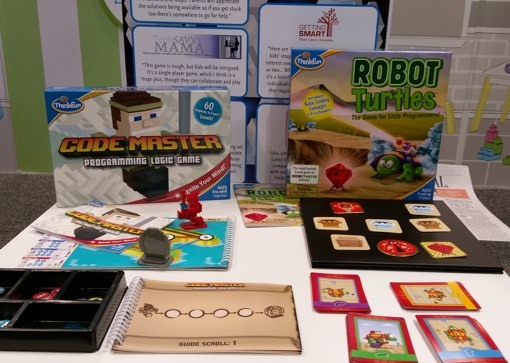 It's not the first coding skills board game ThinkFun has brought us: in 2014, it introduced Robot Turtles for coders-in-training age four and up. But Code Master is a step up from Robot Turtles or the Code-A-Pillar, though it's also designed to make you think about the sequences that programs run. However, Code Master gets into more sophisticated coding concepts like conditional loops and branches, meaning its targeted towards older kids, age eight and up. 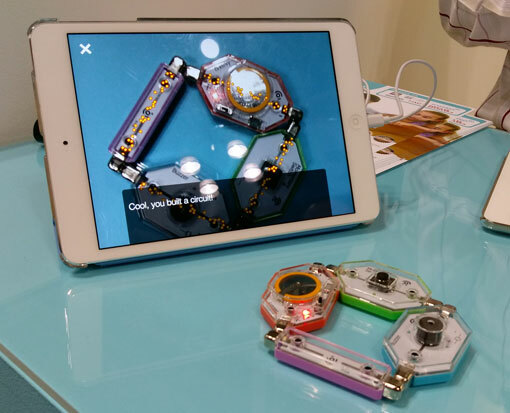 Getting yet more sophisticated, Code Gamer by Thames & Kosmos is a game controller and app (for iOS and Android) combo designed to teach kids aged 10 and up the Arduino programming language. As kids play through the game's 15 levels, they'll solve increasingly complicated Arduino puzzles and customize their controller, learning how code can make their controller light up or play sounds as well as how sensors in the controller can interact with the game. Even though it's a game, it teaches practical skills for both coding and building high-tech gadgets using a real programming language—a great way to encourage an older child who's already interested in programming or technology. Once your child has mastered Code Gamer, they'll know enough Arduino to build and program their own gadgets. So the sky's the limit. There's no game element to LightUp—it's just a high-tech building kit that lets you create anything you want to. Snap together LightUp's magnetic blocks—each of which has a different function—and then program what you want them to do using an iOS app, which connects to the LightUp blocks via Bluetooth. If you child isn't not sure what's wrong with their gadget, all they have to do is hold the iPad or iPhone's camera over it and LightUp will explain what isn't working. Programming LightUp is as simple as dragging and dropping block of code into a program. This makes it easy to get started, but also lets your child build more complex gadgets as they learn. If they ever run out of inspiration, the LightUp app also has tons project ideas to spark their imagination.